IBPA is pleased to announce the Gold Award Winners in the 2014 Benjamin Franklin Awards program. During a gala awards ceremony on the evening of May 28, 2014 at New York University's Kimmel Center, the Independent Book Publishers Association (IBPA) revealed the Gold award winners in the 2014 Benjamin Franklin Awards. Gold for the Bill Fisher Award for Best First Book went to Three Scenarios in Which Hana Sasaki Grows a Tail by Kelly Luce (publisher: A Strange Object), Divine Secrets of the Ta-Ta Sisterhood: Pledging the Pink Sorority by Joanna Chapman (publisher: Cosmic Casserole Press), and Bad Dad by Derek Munson (publisher: Cannonball Books). A complete list of Gold and Silver award winners is available on the IBPA website at http://articles.ibpa-online.org/bf/. 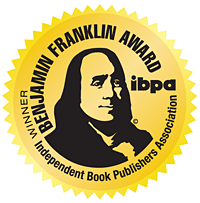 The IBPA Benjamin Franklin Awards are regarded as one of the highest national honors for independent publishers. Prestige as a publisher is one of the many benefits of being named a winner of this distinguished award. In addition, Gold award winners receive an engraved crystal trophy. For more information about the Benjamin Franklin Awards, contact IBPA’s Chief Operations Officer, Terry Nathan, at terry@ibpa-online.org or 310-546-1818. Founded in 1983, the Independent Book Publishers Association (IBPA) is the largest not-for-profit trade organization for publishers in the United States. IBPA’s mission is to lead and serve the independent publishing community by providing advocacy, education, and tools for success.